Do You Know What You’re Buying With Primark Clothing? Primark has become the go-to shop for fashion at its cheapest, where people can buy tops for as little as £2, with the claim that ethics are never compromised in the making of products. However, over the years Primark has been targeted by accusations of poor working conditions and little pay for it’s employees. Investigations even revealed that they were employing children as young as 9 to work in squalid conditions, sewing beads by candle-light for as little as 60p per day. 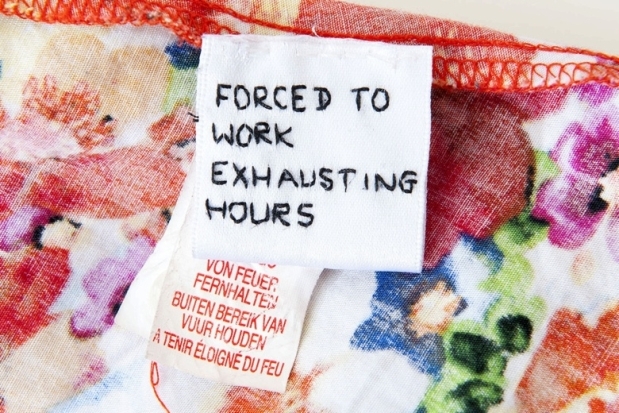 The store located in Swansea city centre has been subjected to much criticism as labels have been found in the clothing with messages stating “forced to work exhausting hours,” and “degrading sweatshop conditions.” Claims have now been made that these labels were a cry for help from workers creating the cut-price fashion overseas. However, Primark have stated that the labels are a hoax, attached to the clothing by people living in the UK, because both pieces of clothing with these identical labels attached were from India and Romania, thousands of miles away from eachother. Therefore, they said it was impossible for such similar labels to be sewn onto garments from different factories, and that they clearly came from the same source. A Primark spokesperson reiterated that it was of utmost importance to the company, that the well-being of workers in the supply chain was maintained, and assured customers that codes of conduct were in pace to ensure products are made in good working conditions. Their ethics also came under scrutiny in 2011 when 580 of their employees were killed after one of their buildings collapsed. As a result, the company recently announced that they will pay compensation to all those who were injured and to the families of those who were killed. Whether or not the labels came from those in the UK, or those working in factories, investigations have pointed towards illegal employment for overseas workers. This may be the reason someone from the UK has sewn the labels into the garments, as a human rights protest. If you have suffered from unfair pay or poor working conditions, contact us now for advice.